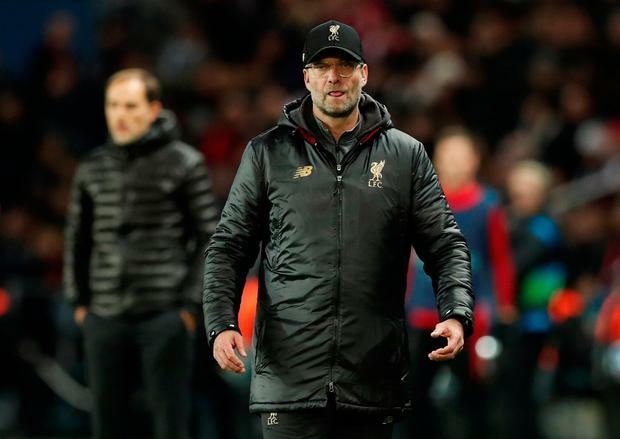 Liverpool manager Jurgen Klopp hit out at refeere Szymon Marciniak following the Reds' 2-1 away defeat to PSG in the Champions League tonight. Liverpool require a 1-0 win or a victory by two or more goals against Napoli in their final group game at Anfield to progress, after they fell to their third defeat of the campaign in Paris. Goals from Juan Bernat and Neymar put PSG in control, before James Milner pulled a goal back. However, despite applying pressure in the second half, PSG held on. Afterwards, Jurgen Klopp expressed his anger with the performance of the Polish official, claiming that 'one or two decisions' - including only handing Marco Verratti a yellow card for a dangerous tackle on Joe Gomez - cost his side dearly. "There were moments when we had control, and the intensity of the first half they could not keep up so we tried everything," Klopp said. "With one or two different decisions we would have been better off." "There was a little hurdle with the 500,000 interruptions in the second half, and the referee did nothing. In England we are high up in the fair-play table, but tonight we looked like butchers. "I saw the Verratti foul, and wow. How many yellows were there? There were cards for holding, the same as Verratti got." Klopp finished by issuing a rallying cry to the Liverpool fans ahead of the crucial tie at Anfield in two weeks. "We have to take 2-1 because a lot of teams lose in Paris, but it is a bit rubbish and we have to use Anfield one more time. We are calling Anfield and we will see what happens."